Since it’s the holidays, you’re probably battling the temptations of cakes, sweets, and desserts wherever you turn. But ‘sweet’ doesn’t have to be bad! As of 2014, over 451 million people and counting are living with diabetes, many going undiagnosed. Sugar contains no essential nutrients and is the cause of a diabetes epidemic. We suggest sugar alternatives you can opt for on a daily basis. Some of these aren’t healthful per se, but they do contain more nutritional value! 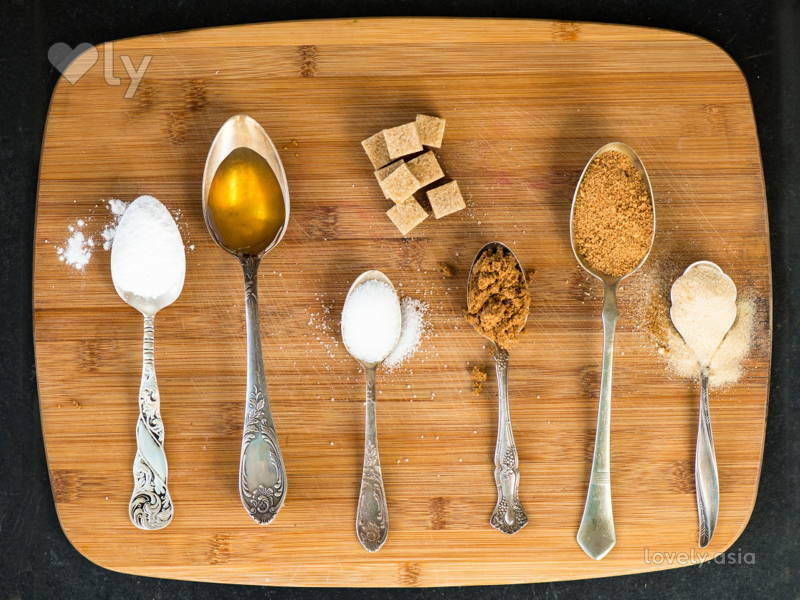 This age-old sugar substitute is a favourite amongst many. 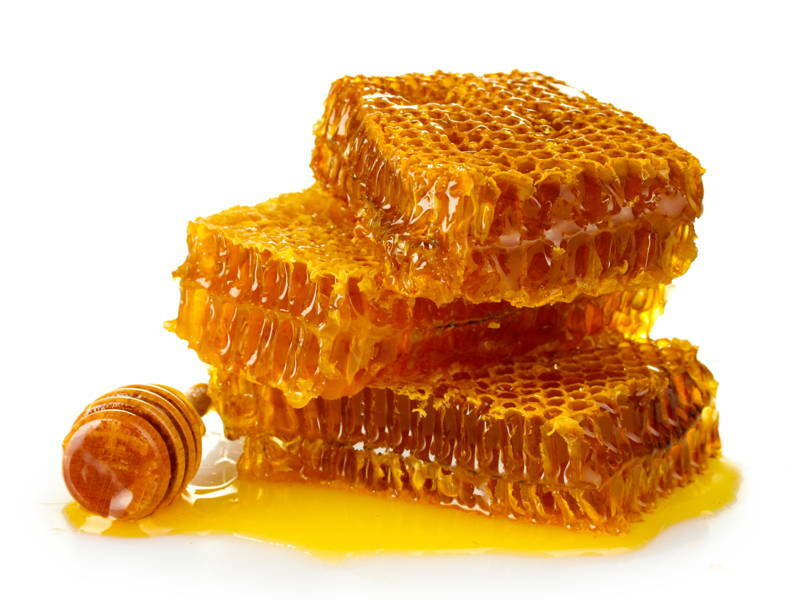 The Aztecs used this honey-like syrup decades ago as a core flavourant for food and drinks. They even used the nectar as a dressing for wounds and still use it as a healing remedy found to be effective against bacteria. Agave Nectar is considered a healthier sugar as the carbohydrate in the nectar has a lower glycemic index compared to sugar. This provides sweetness without the sugar rush and unhealthy blood sugar levels. And get this, agave nectar is a derivative of the same plant that produces tequila! You can purchase Agave Nectar at health food stores and at major grocery stores. 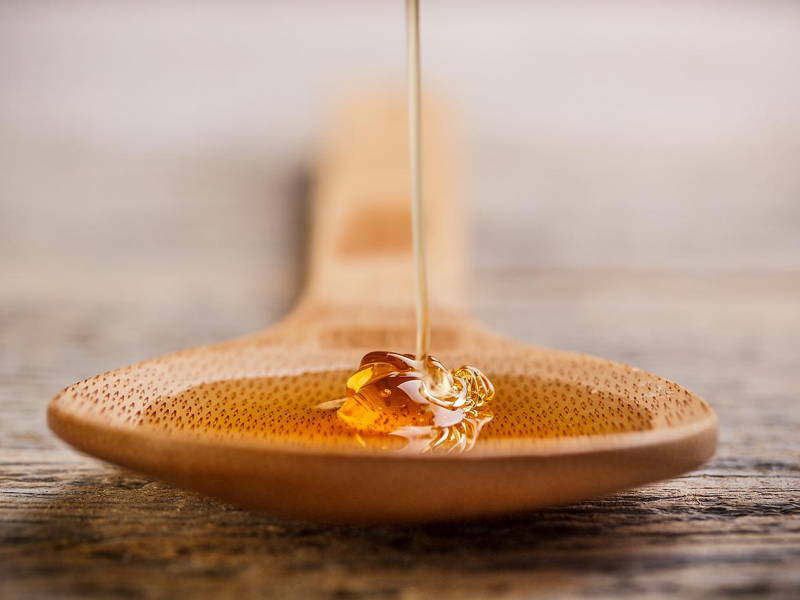 Just like Agave Nectar, Honey has been used for thousands of years as flavourant, It is also used for medicinal purposes as it contains properties that can digest stored fat in the body while giving energy boosts with its high calorie levels. One of the most treasured gifts from nature, honey is packed with antioxidants that improve our body’s immunity to diseases, and is a great way to provide your body with of vitamin C, calcium, and iron. This FDA-approved sweetener is known as the sugar imposter. 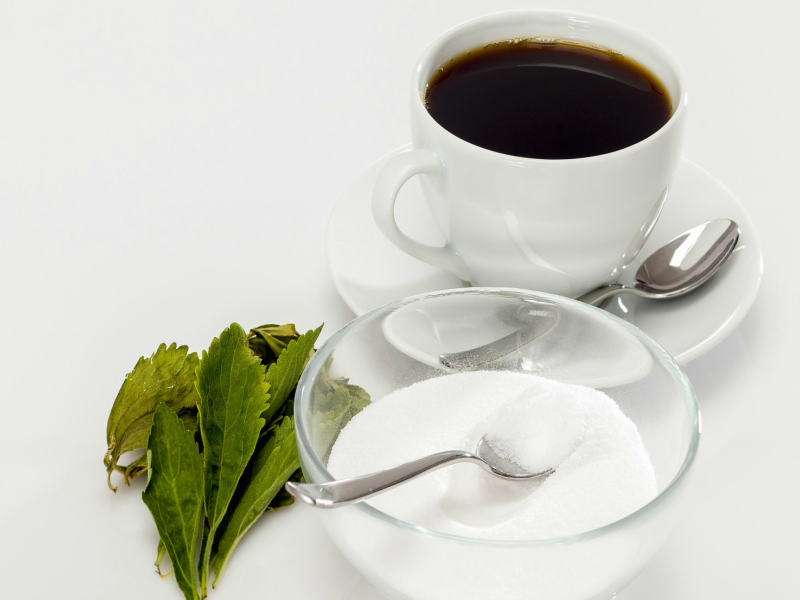 Unlike sugar which has zero nutritional value, Stevia is a calorie-free plant-based food and drink sweetener that has been used for centuries. The only downside to this substitute is that it is 200 times sweeter than sugar, so only add a tiny bit to your drinks and food! Many beauty gurus and skincare professionals are turning to coconuts for its healthful traits, and sugar is no exception. Made from the sap of coconut flowers, this sugar is loaded with potassium, zinc, and calcium. It also contains a fibre called inulin that is said to slow down glucose absorption so that youR pancreas doesn’t have to work overtime to facilitate glucose transport in your body. 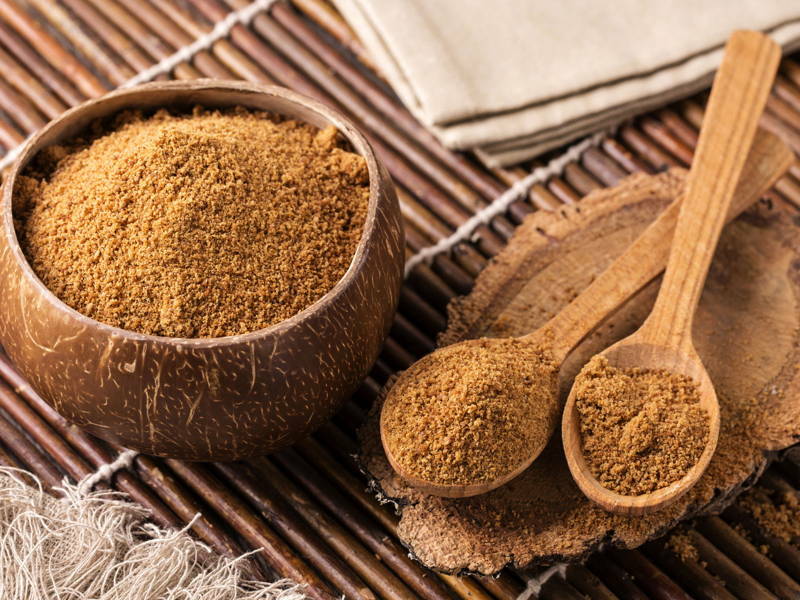 Use coconut sugar sparingly though because when consumed in excess, the sugars can cause obesity and cardiovascular disease. 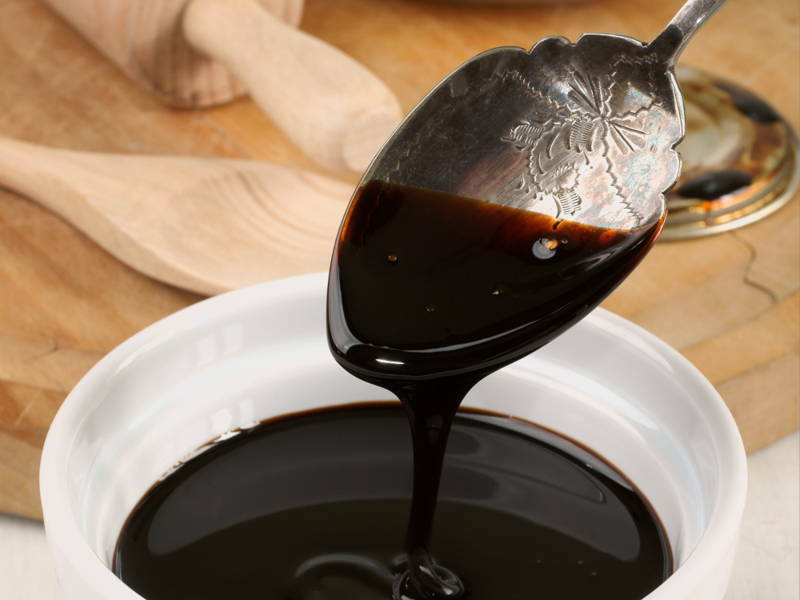 Believe it or not, molasses is the thick syrup produced when the sugar cane plant is processed to make refined sugar that has zero nutritional value, while the highly nutritious syrup ends up becoming livestock feed instead. This healthy superfood is loaded with nutrients and carries vitamins B1, B3, B5, B6 and many others. Including this syrup in your daily routine can help with fatigue, mental health, and anaemia among others.